The Les Chocolatiers were recently invited to attend two Sci-fi Conventions, one of which was held at the Carrington Hotel in Bournemouth. Fun and Unique was the request by the organisers. As that’s how they describe themselves, that’s exactly what was achieved. The events were attend by 150 VIP guests, including many actors and actresses from sci-fi television programs and films such as Battlestar Galactica, Buck Rogers, Deep Space 9, James Bond, Star Trek original and Voyager. Many of the attendees remarked "They hadn't seen anything like it before". Yes they had been to an event with your average chocolate fountain and a selection of dips before, but the Les Chocolatiers had surpassed all expectations. Their mirrored neon lighted table and three chocolate fountains mesmerised Celeste Yarnall. 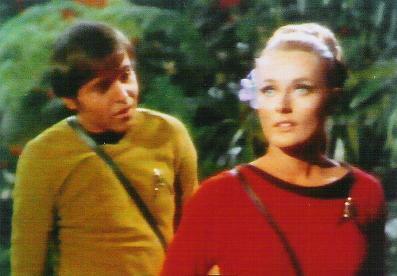 The actress who was known as Yeoman Martha Landan, Chekov’s love interest in Star Trek original, was glued to the spot, literally. Once again the Les Chocolatiers have proved fearless, boldly going where no chocolatier had gone before! !